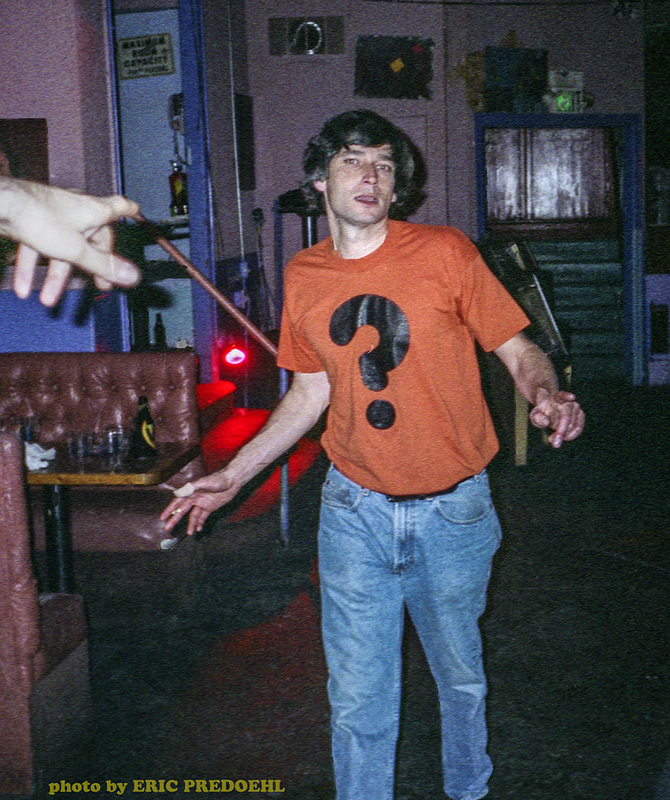 Tom Guido was responsible for reviving the legendary Purple Onion, a nightclub in San Francisco that began in the 1950s, and found a new lease on life in the 1990s. “The Purple Onion has been a centre of San Francisco culture since its founding by Bud Steinhoff in 1952. The club is a small, dark, basement on Columbus Avenue in the North Beach area. The name came from a friend of Steinhoff’s, Hungry i owner Rod Banducci. Poet Maya Angelou debuted there, singing and dancing, in the early 1950s. Folkies The Kingston Trio got together and debuted there in 1957, as did Phyllis Diller and The Smothers Brothers (in 1959). Through the 1950s and 1960s the club was well-known for live performance, mainly folk music and comedy. It was the site of comedian Jonathan Winters‘ famous freak-out in which he took off his pants and was as a result hospitalised for bipolar disorder. Other famous performers included The Mamas and the Papas, Lenny Bruce and Barbra Streisand. In 1989 Bud Steinhoff died and the club was taken into its second incarnation with Tom Guido at the helm. Guido continued the tradition of giving a chance to new groups, and as a result has put on some of the most enjoyable and lively shows in the city. Through the 1990s the Onion was home to multiple overlapping Bay-area subcultures, most notably mods decked-out in perfect vintage gear. The club is dark and hot, with a primitive sound system and décor reminiscent of some cheap 1950s dance in a high-school gym, with minimal lighting and tinsel hanging behind the stage. The bar offers one, sometimes two, varying brands of beer, one cheap, one expensive, and earplugs. The Tunefilter page goes into great detail on the efforts of Tom Guido at the Purple Onion, sharing photographs, and a comprehensive list of the shows during the 1994-1999 run. Beth’s Purple Onion webpage goes into even greater detail on the club, providing even more stories, and photos. 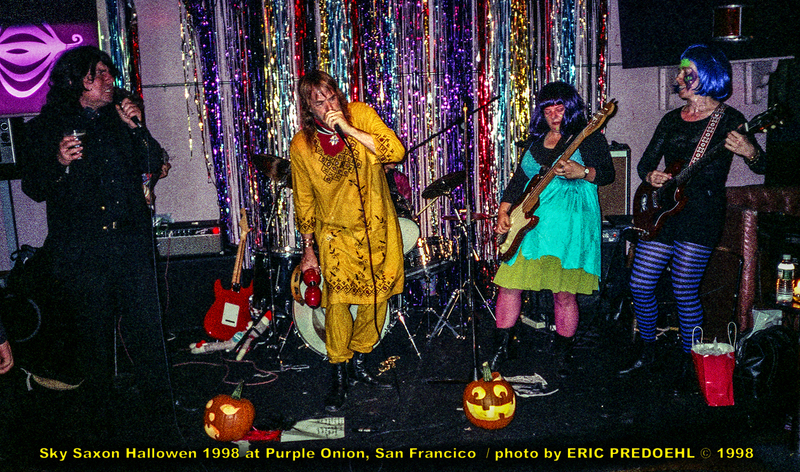 I also didn’t take a lot of photos at Tom Guido’s Purple Onion shows, but here’s one from the Sky Saxon Halloween show I attended.. The circumstances behind Tom’s death are still being investigated, and there’s not much I can add to that, other than expressing my shock and deep sadness over the circumstances. Rest in peace, Tom Guido. You will absolutely be missed. You can read more about Tom Guido by visiting these links..